Financial aid could help alleviate tuition anywhere. When it comes to the hotel guests’ comfort and satisfaction, it’s up to you, the hotel manager to tackle the job. You make sure your guests are having the best experience possible at your establishment. Beyond the guests, you will also be directing the rest of the hotel staff, managing the day to day operations, and overseeing the health and wellness of the hotel itself. Without your touch, everything could quickly go downhill. You may have to work long, irregular hours, and you may even be on-call around the clock, so you’ll need the ability to stay positive and effective under adverse conditions. You will be interacting with guests and employees, sometimes from different countries and cultures. Interpersonal and communication skills need to be your strong points. It doesn’t hurt of be self-motivated and highly organized, either. 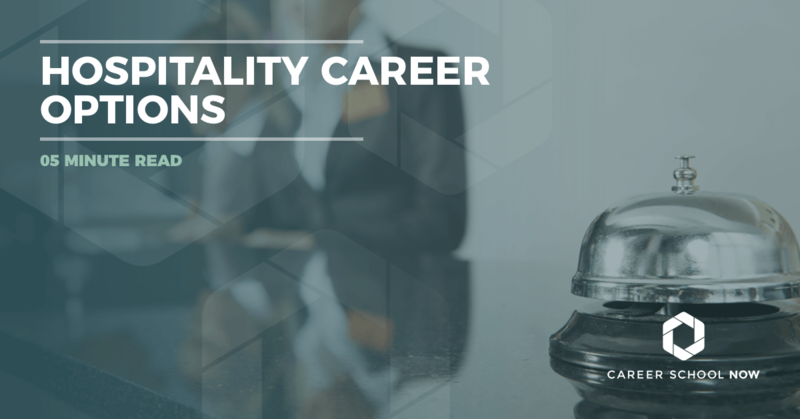 You can decide to get an associate degree or certificate in hotel, restaurant, or hospitality management, or perhaps you will choose to pursue a bachelor’s. Associate degrees take two years and will give you the qualifications to manage smaller hotels. Bachelor’s degrees in hospitality will give you the qualifications to manager larger scale and boutique hotels. Most large chains will only look at hotel managers who have master’s degrees. After you get your degree, go through a hotel training program. Most of these have minimum requirements such as a bachelor’s degree and six months experience. Training programs last between 6-18 months. There are certifications available, and it’s highly recommended by most hiring managers. The Certified Hotel Administrator designation is offered through the American Hotel and Lodging Educational Institute. You must have at least an associate degree along with two years of experience to be eligible to sit for this certification exam. Your degree program will include courses in business, accounting, economics, marketing, and human resource management. You’ll learn hotel administration, food service management, catering, and hotel maintenance. Your program will include either an internship or field study with a participating hotel, casino, or resort. Your starting salary as a lodging or hotel manager will be in the $29K range, on average. However, the actual median annual salary, once you’re established in the industry, is $52K, with the top 10 percent earning over $96K. Employment growth will remain about average through 2026. There will be roughly 2,800 jobs opening, which will make it a pretty competitive market. If you have a bachelor’s degree along with certifications, you will be more marketable. Hot food, well-made drinks, excellent service, and an all-around memorable dinner: This is the expectation guests have when they plan an evening out on the town. You, the restaurant manager, aka the food service manager, transform the customer expectation into a reality. You’re going to be pulled in a million different directions, which is par for the course of restaurant management. You’re responsible for overseeing the dining area, organizing and directing staff, and helping wherever help may be needed. A restaurant manager is responsible for keeping the customer happy and the business in full swing lending to that memorable dining experience the customer was anticipating. Doing the hiring, firing, training, and overseeing of employees. Taking care of the ordering of food and supplies to run the restaurant. Watch over the food prep and portion size. Make sure health and safety protocol is being kept for both employees and diners. Manage the payroll and the budget. Essentially, you’re in charge of all aspects of the restaurant from the staff to the products. It’s up to you whether the restaurant makes it or breaks it. Soft skills you’ll need to succeed in this sometimes stressful career are: strong organizational skills, leadership skills, business skills, communication and problem-solving skills. Many restaurant managers got their start through being trained right on the job. But, there are degree programs available if you’d prefer going through a management program. Apply to a community college, trade school, culinary school, or four-year college. To work in an upscale restaurant, you may need a bachelor’s degree. But sometimes experience speaks as loudly as a degree. Most restaurant managers learn on the job, but others get a certificate or associate degree. Certification is voluntary and preferred. The National Restaurant Association Education Foundation gives the Foodservice Management Professional designation. Enroll in a local restaurant management program. Some programs combine classroom and practical study with internships. The median annual salary for restaurant managers is a bit over the $52K mark. Once you’ve established yourself and your reputation, you can start earning more than $87K per year. Keep in mind that factors such as location, experience, and industry will weigh into your actual salary. Job growth will remain stable, with around 27,300 positions available through 2026. If you have a bachelor’s degree along with work experience, you should easily find yourself a job in the restaurant industry. You want to get a degree, but so many factors are keeping you from applying to college. Online hospitality management degree programs might be a really good idea for you to consider. You’ll be trained for administrative and management roles in hotels, restaurants, casinos, and other hospitality-type settings. Both undergraduate and graduate degrees are available online. You can go at your own pace, in the comfort of your own home. It’s important to make sure that no matter which you type of program you attend, whether it’s online or in a physical classroom, it is endorsed by the Accreditation Commission for Programs in Hospitality Administration (ACPHA). This ensures the quality of the program and that it is meeting certain educational standards.